The city of PUNO is in a beautiful bay and between hills and there before you more high lake of the world. Join very important legends of the Inca culture, it is said that a foam bubbling exited the first Inca Manco Capac and Mama Ocllo, sons of the sun god, which chose the site because it is pure and food. The mandate of his father was found the Inca empire to do so should find a place where to sink the small bar (so stick gold), which gave the sun god, they carry out the mandate they were seeking the chosen location and small bar sank in Cusco, known as the capital of the Incan Empire. The lake has a lot of islands They include: “Taquile, an island where the residents made their customs tourist trade, with lodgings, keeping everything as if time had not passed and selling it as a tourist experience, is beautiful, as they arrive and make you ceremony, they teach you their dances, dress where cook, where their animals, like cultivating, harvesting and, as spinning and weaving, their rites absolutely everything, plus you can bring memories. The other is the island that highlights what Uros, is built on the lake, but do not create it construction with reeds, and people built their homes on top when this there, feeling that moves a little, the people should continue putting the reeds, ever. Something more, are Chulpas of Sillustani, belonging to the Tiahuanaco culture, is a pre-Inca culture, it Puno between development and the part adjacent to our sister country Bolivia. She also leave us utensils, huacos, tissues found, it constructs a tubular and high, known as Chulpas, were said to have been places where the dead were buried, others hypothesize that were places to store food, and others say it was more a ceremonial center, but the truth is that arrive and you see some things there in the middle of everything, and very well-built giant rock to rock. The mummies they found at the site are in the museum site. Q The time I recommend to hear Puno is in the months of January and March, because there are many parties with dancing costume contests remember that Puno is the capital of the world and folkloric dances are very beautiful and interesting as “morenada”, “King caporal “,” Cow Cow “(in this dance and the ladies are 50 polleras, are like long skirts with pleats so dance when you see many colors). Also at this time makes it less cold, but always makes EYE cold so you must be cherished. 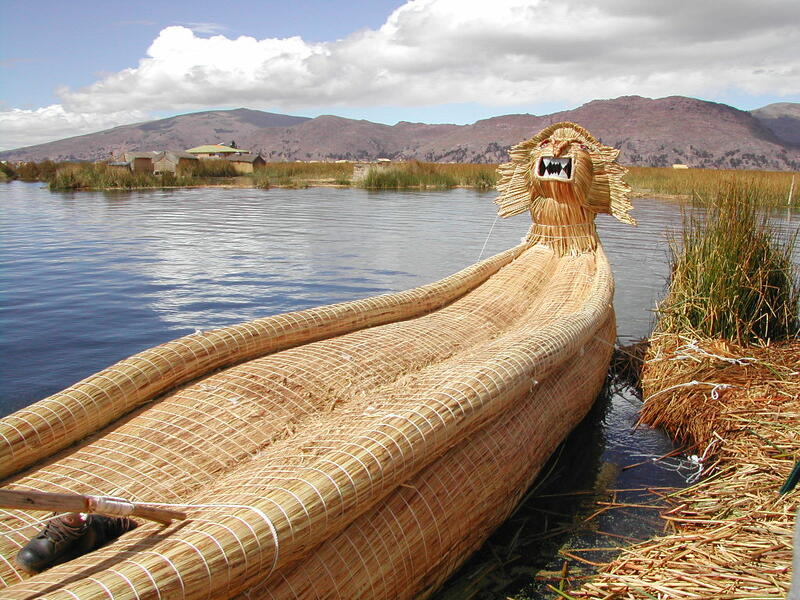 Lake Titicaca: The world’s highest navigable body of water, straddles the border between Peru and Bolivia. To locals, it is a mysterious and sacred place. An hour’s boat ride from Puno takes you to the Uros floating islands, where communities dwell upon soft patches of reeds. Visitors have a rare opportunity to experience the ancient cultures of two inhabited natural islands, Amantaní and Taquile, by staying with a local family. The views of the oceanlike lake, at more than 3,800m above sea level, and the star-littered night sky are worth the trip.